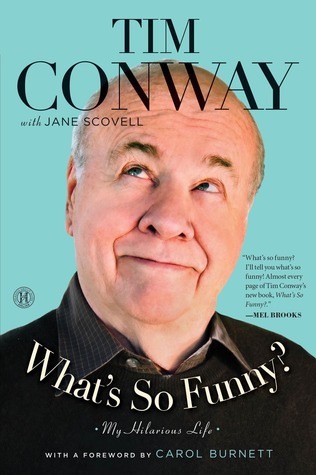 Tim Conway is just one of the funniest people ever to walk this planet. From Tim’s eventful baptism through his interesting childhood, it becomes evident that Dan and Sophia (Tim always refers to his parents as Dan and Sophia) were a wee bit eccentric. Couple this with his dyslexia which often made his classmates laugh at him, and you surely get someone with an unusual view of the world. By the way, he didn’t know why they were laughing at him, but he liked it. Tim’s humor is kind, gentle, never off color, never hurtful. The memoir reflects all of this. There are great stories of his friendships and professional relationships with the stars of television’s golden age, always with nice things to say about everyone. Even his divorce was glossed over with just a few sentences. If his life ever had a bad day, it isn’t mentioned. So, if you’re looking for a nice, juicy, tell all, forget it. But if you want to have a really good time, even laugh out loud, this is the book to read. This entry was posted in adult, biography, humor. Bookmark the permalink.